Mar. 19 (NBD) - As Chinese ACG platform Bilibili files for U.S. IPO, virtual idols started to come into focus again. The market is reportedly to reach hundreds of billions of dollars, which has drawn investors such as internet giant Tencent, Alpha Group and Qiming Venture Partners. However, those companies have adopted varied strategies. For example, Tencent is making its own virtual idol Tushan Susu, a female protagonist of Tencent-backed animation Fox Spirit Matchmaker. As for Qiming Venture Partners, the company directly invested Luo Tianyi, a popular Chinese virtual idol. Stella Zhou Lingfei, executive director of Qiming Venture Partners, told NBD that her company focuses more on core IPs of specific segments. Luo Tianyi, a representative virtual idol, has intrinsic growth potential. While behind her, there is a large family. The logic behind is that investing virtual idols equals investing in their fans, Zhou confessed. She is bullish on ACG market and also the market for the post-1990 and post-2000 generations who are willing to pay for and are gradually able to pay for such video and literary contents. The number of Chinese virtual idols has surpassed 20, but only Luo Tianyi has turned profitable so far. 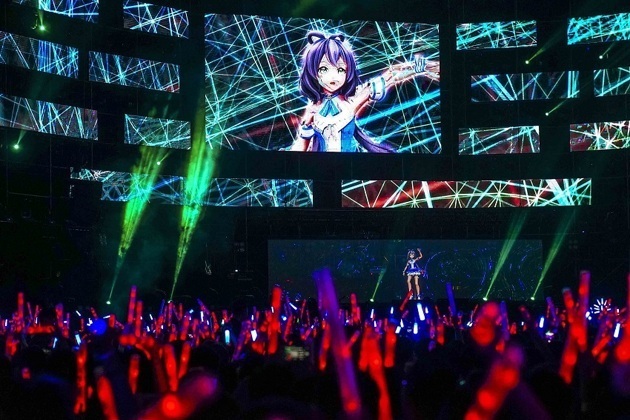 In June 2017, Luo Tianyi held her first offline concert in Shanghai. The first batch of SVIP tickets were sold out within 3 minutes. In addition, Luo Tianyi also endorsed products delivered by fast food brand KFC, dairy producer Bright Dairy, and skin care provider Pechoin. According to iRearch, the market size exceeded 100 billion yuan (15.8 billion U.S. dollars) in 2016 and is expected to reach 500 billion yuan (79.0 billion U.S. dollars) in the future. In the meantime, the number of core users has expanded to 80 million in 2017 from 49.84 million in 2014. Tencent Animation & Comics unit also entered the niche sector. Xu Zhiwei, IPR operating manager of the unit told NBD that the company started to promote its first virtual idol image Tushan Susu from last year. The character is chosen from a Tencent-backed animation titled Fox Spirit Matchmaker which is the most viewed China-made animation on Bilibili and has a solid fan base. Developing virtual idols relating to characters in Fox Spirit Matchmaker is still at the initial stage, Xu noted, adding that the company is making an all-round image-building plan to promote more than one virtual idols. Xu pointed out that a virtual idol should have his/her songs and dances as a real person. Tencent AC unit has no problem in investments, but the key to success lies in providing best products and experience for users. The company has a clear profit model and is confident in investment returns on virtual idols. It usually takes at least 3 to 5 years to incubate an IP. But once it takes shape, the idol will deliver handsome returns, Xu added.